The B.C. 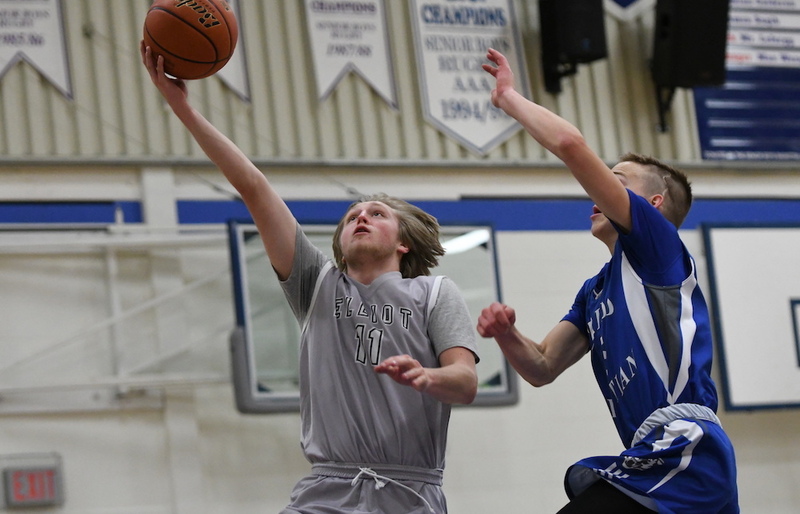 High School Boys Basketball Association’s All-Star Saturday lived up to the level of shooting currently on display by the province’s best Grade 12 boys. While the Double A team had little trouble topping the Single A team 121-71 in the opener, the Quad-A team had to fight for everything down the stretch drive of its 107-100 victory over the Triple A team. We’ll have much more from the two games over the course of the week ahead, but here’s a rundown of what went down Saturday night at Surrey’s Semiahmoo Secondary. 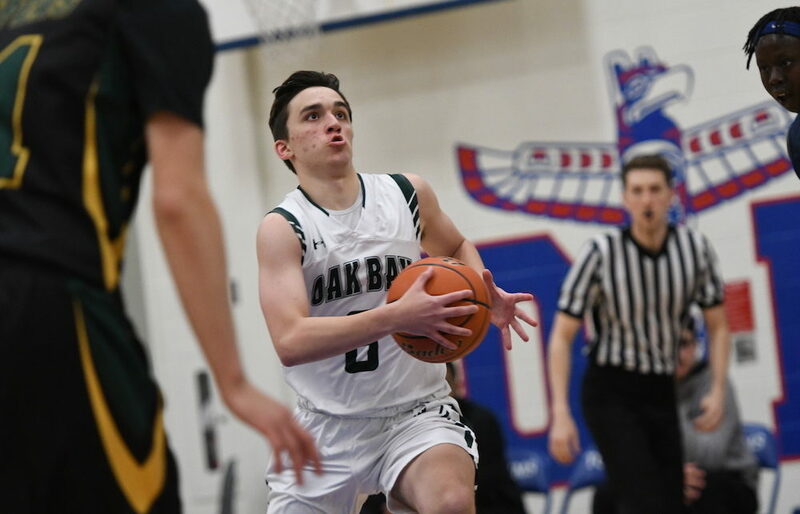 Game MVP Diego Maffia of Victoria’s Oak Bay Bays scored 14 of his game-high 22 points in the second half as the Quads held off the Triples down the stretch drive. Maffia, the Victoria Vikes-bound guard hit a brilliant step-back trey a minute into the fourth quarter to put his team up 81-75. His subsequent steal and near coast-to-coast lay-in made it 85-77 Quad-A’s with 7:59 remaining. 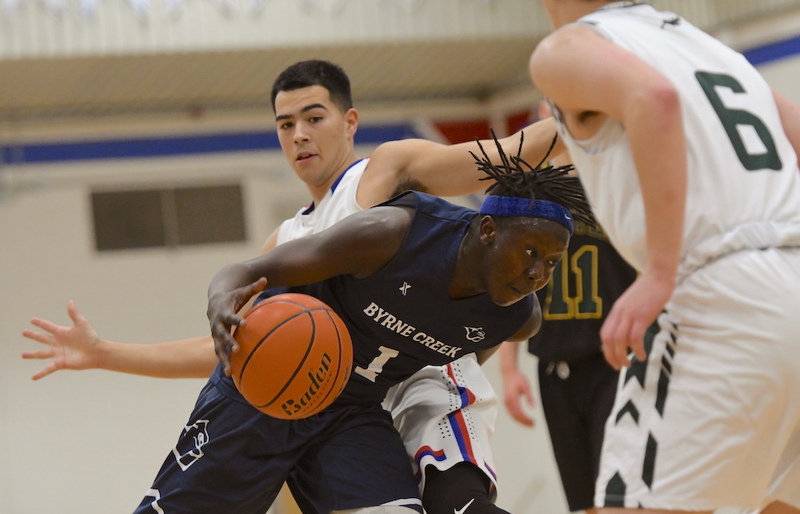 North Delta’s Arun Atker, however, hit back-to-back threes over a span of 36 seconds to pull the Triple-A’s to within 87-83, before teammate Bithow Wan of Byrne Creek put up back-to-back lay-ins to cut the deficit to just two points at 89-87 with 5:20 left. When Soren Erricson of Prince George’s Duchess Park Condors hit a trey with 4:25 left, the Triple-A’s once again cut the deficit, this time to 92-91. Yet that’s when the Quad-A’s hit the big shots they needed to win. St. George’s Jerric Palma dropped a three, then B.C. tourney MVP Arjun Samra of Lord Tweedsmuir with back-to-back threes made it 103-94 with 2:55 left. Samra and Palma each finished with 14 points, while Arsh Movassaghi of Port Moody’s Heritage Woods Kodiaks and Dominic Calderon of the host Semiahmoo Totems scored 13 apiece. Wan led the Triple-A team with 18 points, while Gurkaran Mangat of Abbotsford’s Rick Hansen Hurricanes added 17. North Delta’s Ryan Cabico scored 15 points, while Erricson and Usman Tung of Richmond’s A.R.MacNeill Ravens scored a dozen apiece. North Delta guard Suraj Gahir, the Triple A MVP, did not play with the Triple-A team because of a sore ankle. As well, Heritage Woods’ 6-foot-7 Zach Hamed did not play due to injury. Nick Lafontaine was beaming with pride about the Okanagan offence which helped the Double A team to a healthy win. “It was fun to be with all of my friends from the Okanagan,” said Lafontaine, the talented guard from Lake Country’s George Elliott Coyotes, who scored a game-high 26 points and was named MVP. In fact between Lafontaine’s 26, 18 more from his ‘Yotes teammate Ben Hitchens, 12 from Kamloops-Sa-Hali’s Kalem Wilson, and five more from Kamloops-Westsyde’s Carsen Day, the Okanagan contingent put up 61 points, just over half of the team’s winning total and just 10 shy of the Single A team’s entire output. “Teams don’t usually go over 120 so it was fun to see that,” added Lafontaine, whose school team lost in last month’s B.C. Double A final 78-51 to Prince Rupert’s Charles Hays Rainmakers. Langley Christian’s Asher Mayan added 19 points in the win while Elan Cimpton-Cuellar of Gibson’s Elphinstone Cougars added 14. Navjeet Brar, a 6-foot guard with the Osoyoos Rattlers, knocked down six threes and finished with a team-high 24 points for the Single-A all-stars. Hilyard Carson, a 6-foot-5 forward with Tsawaassen’s Southpointe Academy added a further 10 points.